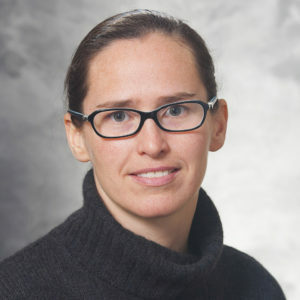 Meghan Brennan, MD, MS, is an Assistant Professor in the Department of Medicine, Division of Infectious Disease. She is also a Staff Physician at the William S. Middleton Memorial Veterans Hospital in Madison, Wisconsin. Dr. Brennan is a health services researcher studying how the healthcare system can be adapted to improve outcomes of patients with diabetic foot ulcers. In line with her research, she co-directs the Great Lakes VA region’s only multidisciplinary clinic for Veterans with diabetic foot ulcers. Brennan focuses on 1) when patients should be referred to specialty care in order to minimize their risk of above-ankle amputation, and 2) the effect (or lack thereof) of diagnosing a diabetic foot ulcer on medical management of macrovascular disease. She anticipates that defining these healthcare gaps in detail, using a national VA-Medicare claims database, will eventually lead to healthcare systems interventions addressing them, and minimizing the morbidity and mortality of this common disease. Brennan’s mentors include Christopher Crnich, MD, PhD (SMPH, Infectious Disease), Min-Woong Sohn, PhD (University of Virginia, Department of Public Health Sciences), and Maureen Smith, MD, PhD, MPH (SMPH, Population Health Sciences and Director of the Health Innovation Program).